Hi every one… My name is Armanbabu. 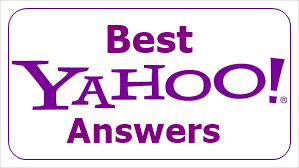 Yahoo answers is a great way to promote your business and get traffic to your website. 14 High Quality Yahoo answers with your website Url. 100% Guaranteed! All the answers will be informative and natural. All the answers contain a clickable link. 100% Guaranteed traffic and backlink. Promote unlimited websites and blogs. Level 2 or Higher Accounts are used. Firstly I will search Questions relevant to your website. And then I will make a thoughtful answer along with your live website URL. When users go through the answer, they will visit your website more likely. If you have any Questions. Please ask me. Give You 15 Yahoo Answers With Your Website URL. Level 2 Accounts is ranked 5 out of 5. Based on 2 user reviews.